WordPress is currently one of the most used and powerful Content Management Systems (CMS) on internet. It is the best content management systems suitable for SEO as well. But having WordPress installed is not enough; it is advisable to follow a series of guidelines for more optimized SEO for WordPress. SEO is undoubtedly one of the main sources of organic traffic (traffic from search engines) that can be found on the Internet. There are countless blogs related to techniques, strategies, tricks and all sorts of information on how to be in the top spots in major search engines especially on Google. Much of this content is related to “external” aspects of SEO, as there are tricks to generate links, creating networks of blogs, how to create quality content to attract readers, tricks to avoid being penalized by Google, how to be immune to updates of search engines and more. All this information is very good and definitely helpful. But before focusing on this, we should start with the basics: a good internal configuration. We hope this WordPress SEO guide will help you in ranking your website, so we should start it now. 1. Your goal is to compete and be victorious in the struggle to appear higher in the search engines than your competitors. 2. First you have to be clear what is your subject. Choose a niche carefully and make sure you know exactly everything related to it, from the primary to the more peripheral. 3. Know who your competitors are. Be clear whom you are competing against. It is one of the bases to compete. Be clear about the strengths on your subject. 4. You must attract the attention of your visits navigating in your content and they should stay with you. Always keep in mind that you write for people. It comes after optimization. Most of the things you write will be to retain and maintain the interest of your users. 5. Search engine ranking depends mainly on the amount of back-links achieved. It doesn’t depend only on design, comments or good writing. But to get those links, it is important to have a well designed, well written blog to have an impact. The best way to obtain quality links is to do it naturally, generally on recommendations from other webmasters. Do you have a server to host your WordPress site? The first thing we need is a physical site to host our blog or website, i.e. a server or hosting, and in the case of WordPress, you must have a hosting that supports PHP and can create at least one MySQL database. There are many hosting companies, and you can evaluate them on various factors such as price, number of databases, customer service etc. In terms of SEO there are many factors that influence a server such as: Server response time, physical location, “neighborhood” sites of server, uptime, etc. The tld is the completion of the domain, i.e. ending of the domain and it is important to the public that we want to lead us. The dot com (.com) domains are for companies, .org for organizations, .info for informational sites, etc. So the logic is that if you're a bank, you do not have to buy a .org domain. The TLD also has importance for the location of the public we want to address, because on one side there TLDs as .com, .net, .org, .co, .info, etc and there are local (country specific) TLDs such as .fr, .co.uk ranging focused on a particular country. Our recommendation is that whenever possible, you probably go for .com as this TLD is the ultimate, and it is easy to remember for the users. Also you should buy a domain with keywords, it would ease the process for SEO. It would be ideal to combine a brand name containing the keyword. Also, as a recommendation, before you buy a domain, review it whether the domain had any previous activity or it is brand new for you. The time has come, the magic moment that is installing the WordPress. Assuming you have your domain and server “Linked”. Now most of the hosting companies has feature to install WordPress automatically through their Cpanel by simply through one or two clicks like installing software on your PC. Now that we have our installed WordPress, we can begin our real work … so go for it! I must say that WordPress is a very optimized system for SEO, and it covers a very high percentage of SEO components. It is given by the theme or template that is used as front end design of blog or website. The first thing to realize once we mounted our website to WordPress is changing the structure of the permanent links. Change the permalinks by going to Settings – Permanent> Links. • Your blog should be at the root of your domain: If you have a blog directory, for example, http://www.abcblog.com/blog/ the robots of search engines will find it harder to access your blog and can slow down. Place your blog on the root of your domain. • URLs never change: I mean, even if you change the category places of your posts, they will be the same. Also, if you write two entries with the same title, WordPress will automatically assign the URL –2 to the 2nd. In short, in the issue of urls there is no perfect formula, all are valid because each project is different and often another type of url is required for different projects according to their requirements… But the best url is to include is the “input name”. You must think how you want your website to be displayed like www.abcweb.com or abcweb.com. Make this sure in your general settings, go to Settings -> General. You also need to set this correctly in Google Webmaster Tools. Be sure to set this value in creating your account site with Google Webmaster Tools and set the preferred domain, you can find this in Site option Settings → preferred domain. The Title Tags are probably the most important SEO tags. Search engines read the title of each page and determine by the help of title that what is within the page, the title resides in <title> </ title> tags of html, which is what it appears on the results in Google search and on top of a browser tab. We can set the title with an amazing WordPress plugin that is SEO by Yoast. Search engines give more weight to the first words, so if your keywords are closer to the beginning of the page title that it would be of greater relevance. People who explore search results will visit those results in which keywords occupy the first part of the phrase. The title of your post is critical, not only for SEO but also for the “victory” of your post or article generally. There are two parts in the plugin from which you can control the titles of your posts or pages. Once you have installed and activated the plugin you will have access to an SEO option in the sidebar of your WordPress desktop section. Access SEO -> Title and META tags and see various tabs of options corresponding to the different types of pages on your website. Because the title is the most important part of your post to place the keywords you've identified before. Therefore, you really strive to “design” the title to get all the juice of keywords. You should just dedicate big effort to titles. You should not settle for the first title that pleases you. 1. Write titles that appeal to the target reader using techniques like copywriting. 2. Try to place at least three or four key words. 3. Ensure that keywords are used the most at the beginning as possible. 4. Ensure that the title is as “efficient” as possible. This does not mean to necessarily short, reduce it to the minimum words. 5. See some possible use of the magic words and / or emotional factors of copywriting i.e. seducing visitor to click your post in search results. Now that we have appropriate title and url, we should start focusing on the meta descriptions. Usually search engines display a text snippet, which is the text displayed below the URL in the search results. The general meta description is used only when it contains the keyword that the searcher was looking for. Some plugins like SEO by Yoast, use so-called “automated meta descriptions “. It uses the first sentence of an entry to fill the goal default description. That's not very smart. That first sentence could be an introductory phrase that has nothing to do with the main theme of the post. We should write the meta description by hand. Therefore, it is recommended that the meta description should be written by hand. If you do not fill the meta description, the search will automatically choose a string from the content relevant to the keyword. Therefore, meta-description field should be written by yourself in order to seduce the visitor who sees your meta-description containing the keyword and then click to enter your website. To do this you must ensure that this meta description contains the relevant keyword at least once. We will not mention anything about the “meta tag keywords” as search engines stopped taking it into the account. Meta tag keywords and meta description are two different things, do not confuse them. The XML sitemap is used to send your posts updates to Google Webmaster tools and so leave a ping whenever any of the content is updated to index your website posts in Google and other major search engines. There are many plugins on WordPress.ord available to download for site map, e.g. Google XML site map generator is one the famous plugins for this purpose. You can generate your XML site map anytime you want to, it generates site map when your posts are updated. It generates an XML sitemap for all your posts, pages, input types and all your custom categories etc. When a new post or page is published, the XML site map automatically sends it to Google and Bing, Yahoo etc, this easily allows them (and quickly) find your website’s new content. From the SEO point of view for images, the site map has also an interesting feature that it allows you to include images in your sitemap references that will benefit you in the extra traffic you get through Google Images. In addition to the xml sitemap, we should generate a map in html for the link juice to flow properly through all the pages of the website. • Facilitates user navigation, so you can quickly access the content of the blog and you can make a general idea of content and theme of the blog through it. • The user can directly access any item in one two clicks. • All articles are linked from one page. This will enchant search engine robots that do not forget to follow and index any post, in addition to transmitting the Pagerank. There are plugins available that will generate html site maps for your blog. Blogs that have many pages devoted to the same subject tend to get better rankings. If a blog is focused on a specific issue and has, for example, 200 pages dealing with search engine optimization, it would have more authority to the search engines in an SEO niche as compared to another blog dedicated to the economy. And not just for search engines, humans also will give more weight to pages of unique theme. • Related articles – We can add a few links to other articles that are related to your current post in your blog. Thus, searchers will find links to other posts in your blog and these posts will also get visits. • Link your articles internally – Directly related to the above, interlace your blog entries together is one of the most important factors in the positioning. 1. Place your blog categories and files on the main menu cover. 2. As mentioned above, make a map as it will be very useful for both users and search engines. 3. Link each article of your blog to the menu. • Be sure to put the “rel = nofollow” attribute on comments, especially if the comment points to sites of poor quality. • Allow your visitors to easily navigate through your website. The design can greatly alter the effectiveness of a blog. A good design will not be placed on the top of the searches, but a bad design can make you lose many positions. • Keep the post title close to the header. First thing is that search engines should read the title and text in article. • Try to make pages load as quickly as possible. Search engines measure the response time and load time to position your blog posts, quick loading is not only good for SEO purpose but also for the user. • A clear design is easy to use and gives better impression. 2. The text body should be big and titles should be clear and large. 3. Give a unique personal touch that is instantly recognizable. There are millions of blogs like yours. Make the user to quickly recognize your brand. 4. Give the maximum importance to the text. Do not let anything to steal the attention, as banners, animated gif, etc. 5. The user should not move the sidebar to find content. Make it the first thing you see when entering your site. 6. Try to keep your pages validated according to the protocols. 7. Make it visible to most browsers. At least for the most commonly used for your blog. 8. Search engines do not like Flash, frames or Java Script. 9. Avoid broken links. Check periodically that there are no broken links in your blog. This is negative for search engines. If a link is broken, remove it or correct it. Content is one of the pillars of SEO, and here I will leave some tips that would be applicable to other platforms or websites as well in addition to WordPress. It is also recommended that each page should have a number greater than 400 words. Often some bloggers don’t give importance to SEO for images, this is not a good practice. Doing things like writing good alt tags (alternative text) for images and renaming images according to keywords can get yourself a little extra traffic from different search engines in their images search. It is a very broad topic. Here I will only say, the keywords you choose obviously must be related to the topic of your blog or your post in particular. The importance of keywords is that they are the key element in the Web positioning. Search engine visibility is for a number of keywords in a page. If we achieve well position for our keywords, it will bring more traffic volume and more sales, or visibility of your website increases, depending on the objectives of each site. This determines the importance of choosing good keywords that represent the contents of the site. After choosing the keywords of the site and every page within the site must get optimized for these words or phrases chosen. 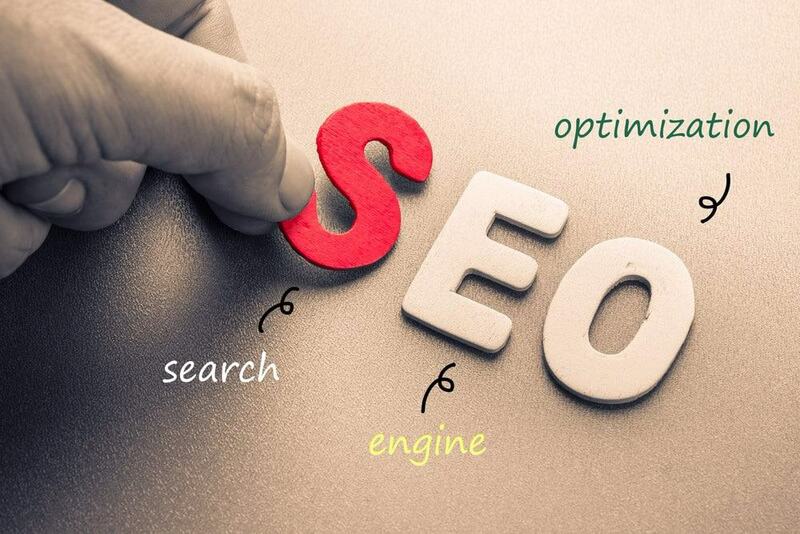 Optimizing a website for a keyword means that we have presence in search engines or directories for these keywords. Title, description, headings, internal links, anchor text in links external, in pictures, in filenames. This section is closely related to the hierarchical structure of both the web post and its contents. Using <H1> is recommended for the most relevant of the keywords close to the <body>. Possibly avoid that the contents of the <title>, <meta> description and <h1> are identical. There are 6 hierarchical levels according to importance, from the <h1> to <H6>. Levels must be respected which means that <h2> should follow <H1> and <h3> to <h2>, etc. The <h1> is the only one that cannot be repeated because it is the most important within the page. The rest can be repeated with the same relevance within the logical structure of the page. The content has to follow the logic structure defined in the previous paragraph. All content has a title and you can have a short summary or introduction using <h> tag and rest is the body of the story. Related links etc should be at the end post. The title of the post must include key terms. It is good practice that every keyword should appear in bold and / or italics. Always use the <b> not <strong> because <b> is better considered by search engines. Use these properties as natural as possible. Keep the number of links within a page at normal scale and use the keywords as links as far as possible. <a Href> label must be as clean as possible, this means that the styles should be better defined. All these labels should have an interesting page level keywords and relevance, they should include “title” attribute and it must contain a brief description of the content of the page. The anchor text should be as descriptive as possible and you have to use key terms. Avoid creating hyperlinks like “+ info”, “see”, “more examples” etc. The anchor text is highly valued by Google so try to use the key word for links to other pages. Google loves content, but not just the text. It is highly recommended that you should insert one or two images in the post. Try to use images that are highly related to the content of your article. Images must be used to enhance the keywords. All images must contain the “ALT” attribute. The images inside the content must include the same description in the “alt” tag. It is very convenient to include the label in “title” of the image. All images in content should be properly described, with its corresponding “alt” and “title” attributes. When composing an SEO optimized article (for positioning the content that needs to rank for that keyword) we must always bear in mind the to get maximum benefit, we must generate the best content / article as compared to existing articles in the SERP (or search results page) by our competitors for the given keyword. To do this, first we will take best positioned article (number of words, images, title, etc.) for that keyword as statistical reference and compete it. Thus, all you need is to generate links to position our results over the competition. 1. Volume of content: The normal length of an article is considered from 300 to -350 words, but we must consider that with more volume of text, Google interprets the value of that content is greater. 2. Variety of content: The higher range of content (Images, embed videos, Slideshares, etc …) within the article will be considered better by Google since it enriches the stored information. Another great thing that you can do is to create a video related to your post and upload to Youtube and then embed it in the post. If the visitors are watching a video in your post they will spend more time on your post than average which clearly benefits to your blog. 3. Quality of writing: In general we will see the Google criteria to assess the quality of items in content. Do not mix concepts (Keywords) within the same paragraph. 20% maximum content copied / duplicated form selsewhere, 100% unique content is highly recommended. Structure the content by Headings and Bullets. Include Keyword fragment or Keyword. Maximum characters 67 to -70. AIDA (Awake: Attention, Interest, Desire and Action). Including Keyword fragment or Keyword. Length is not a factor of greater importance here, but the shorter is better. Keyword density of 5% is enough within a post. Keywords calculated by dividing the number of times it repeats in a text, by the total number of words in the article. 9. Anchor text: in general, a link building strategy (via inbound marketing) must work with a set of anchor texts, make the profile more natural bound (it would be unnatural for example, that all links that we were pointing to our website they were from the anchor text “Warehouses for sale”). Therefore we establish a good mix; the perfect formula for it so that it appears such that links are “natural”. URL: This is one of the most natural links; a user sharing a URL without anchor. To give naturalness to link building action, we should maintain a 20% density with anchor text.